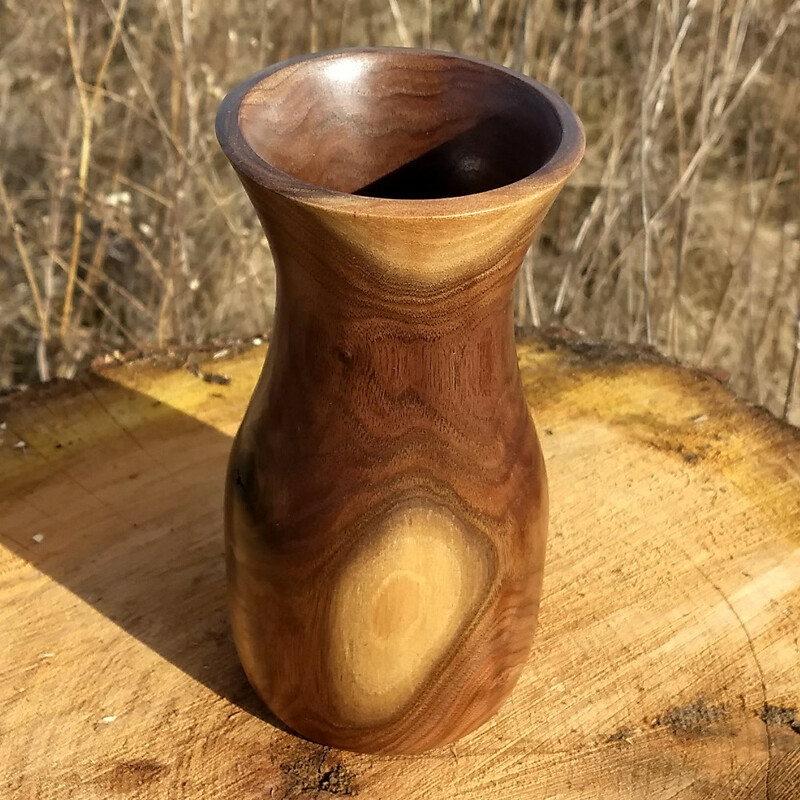 The walnut was locally sourced in West Michigan. 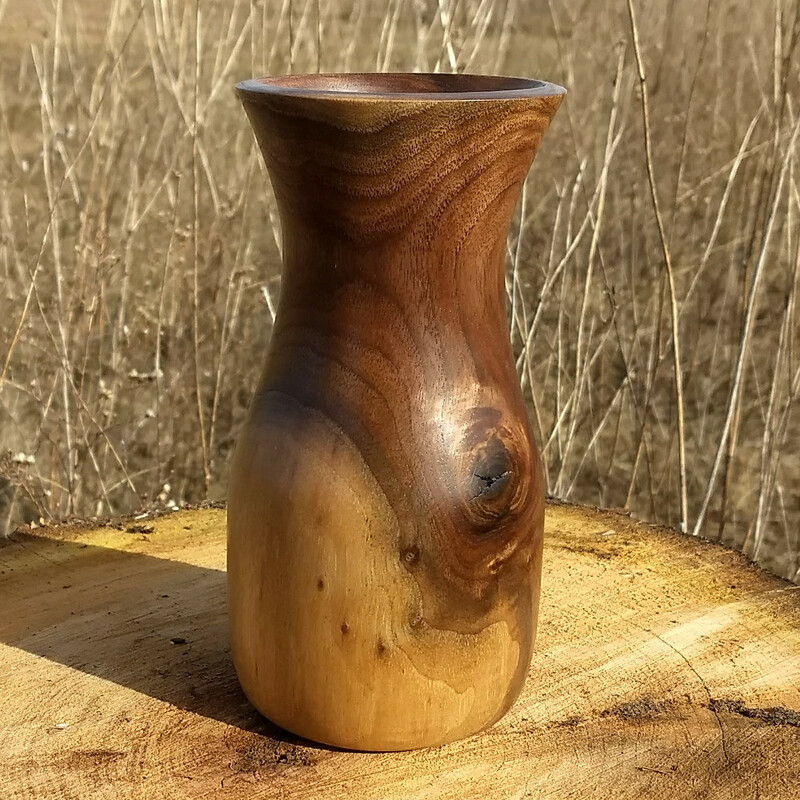 The wood from this particular tree has a great deal of figure. 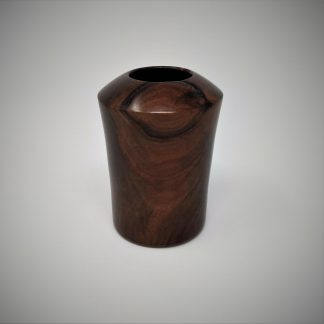 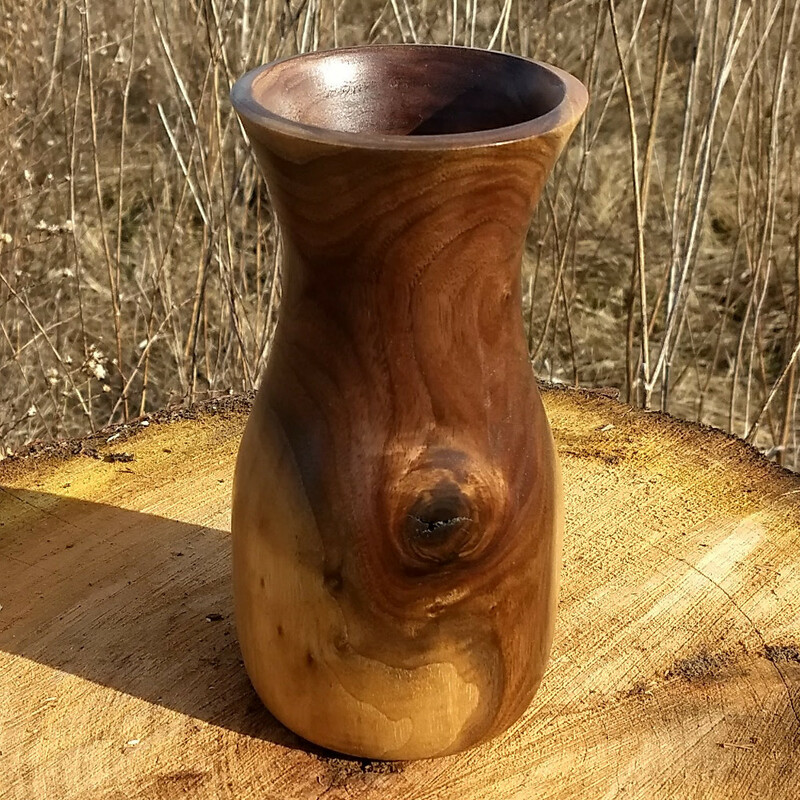 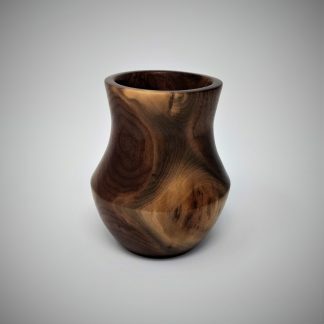 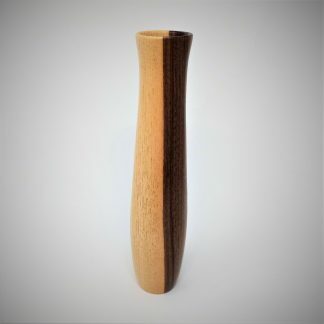 A walnut milk jug shaped vase with heartwood and sapwood.